Cardio could be the closest thing to a miracle drug that we have, but doing it shouldn't take a whole day. Instead, the available evidence suggests there's an ideal window for exercises like cycling, swimming, or brisk walking — and it's under an hour. All of these moves raise your heart rate and get you moving and sweating in a way that appears to benefit our moods and muscles more than other workouts focused solely on weight-lifting or stretching. Instead, the available evidence suggests that committing 30 to 45 minutes daily to exercises like cycling, swimming, or brisk walking is the ideal way to reap the maximum health benefits for your body and brain. These moves raise your heart rate and get you moving and sweating in a way that appears to benefit our moods and muscles more than other workouts focused solely on weight lifting or stretching. To do them correctly, scientists have a few pointers that go beyond simply clocking in at 30 minutes. A growing body of research suggests that when we commit to regular workouts that raise our heart rates and get us moving and sweating for a sustained period of time, magical things happen to the body and brain. We think more clearly, feel better overall, and protect our brains against some of the cognitive decline that occurs with age. "Aerobic exercise ... has a unique capacity to exhilarate and relax, to provide stimulation and calm, to counter depression and dissipate stress," the authors of an article in the Harvard Medical School blog "Mind and Mood" wrote. In addition to the mental benefits, our muscles get toned, our hearts become stronger and more protected from disease, and we can even become more flexible, depending on the exercise. Researchers still aren't sure why this type of exercise offers such a significant boost to our brain and body, but some studies suggest it has to do with increased blood flow, which provides our minds with fresh energy and oxygen. One recent study in older women who displayed potential symptoms of dementia also found that aerobic exercise was linked with an increase in the size of the hippocampus, a brain area involved in learning and memory. 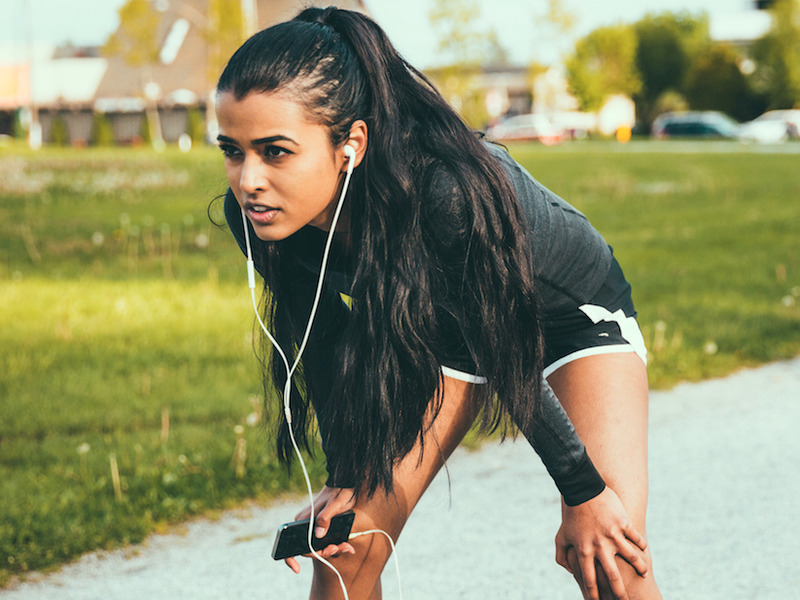 Still another reason may relate to cardio's ability to help reduce levels of the body's natural stress hormones, such as adrenaline and cortisol, according to a recent study in the Journal of Physical Therapy Science. All it takes to begin to see these benefits is roughly 30 minutes, according to several recent studies. One recent paper looked at the exercise habits of hundreds of breast cancer survivors who were experiencing symptoms like "chemo brain," which involves memory loss and trouble focusing. The researchers found that as little as 30 minutes of an aerobic exercise like walking was linked with significantly better performance on cognitive quizzes. Another study published in May provided some additional support for that research — it found that in adults aged 60-88, walking for 30 minutes four days a week for 12 weeks appeared to strengthen connectivity in a region of the brain where weakened connections have been linked to memory loss. Similarly, a pilot study in people with severe depression found that just 30 minutes of treadmill walking for 10 consecutive days appeared to be "sufficient to produce a clinically relevant and statistically significant reduction in depression." Other research suggests it might be better to do cardio for a few minutes longer — but nothing over an hour was needed. A study in the British Medical Journal found that in adults over 50, the best results for the brain appeared to come from a routine that combined aerobic exercises with resistance training (i.e. muscle-building exercises like planks and push-ups) and lasted at least 45 minutes. That means for the maximum benefits to your body and brain, you don't need to spend hours at the gym. Find a window of time between 30 and 45 minutes that you can do whenever you have the most energy, and commit to it a few times a week. This article was written by Erin Brodwin from Business Insider and was legally licensed through the NewsCred publisher network. Please direct all licensing questions to [email protected]. ​Can Broccoli and Cauliflower Really Kill Cancer?